HTC Amaze 4G is here. As always, we shoot a video first. The HTC Amaze 4G was just launched on T-Mobile’s network in the United States. The smartphone shares the Qualcomm Snapdragon S3 chipset with the T-Mobile Samsung Galaxy S II, which we recently reviewed. In addition to the latest and greatest Snapdragon S3 chipset, the HTC Amaze 4G packs a seriously capable 8MP camera unit. The snapper has plenty of shooting modes, and two dedicated buttons. All in all, the device has more than enough on board to spark our geeky interest. Like we mentioned above, the HTC Amaze 4G is powered by a Snapdragon S3 chipset, which packs two Scorpion cores, clocked at 1.5GHz. The new chipset allows the handset to reach network speeds of up to 42Mbps. A cool gig of RAM is on board along with 16GB of-built in memory, which can be further expanded through microSD card. 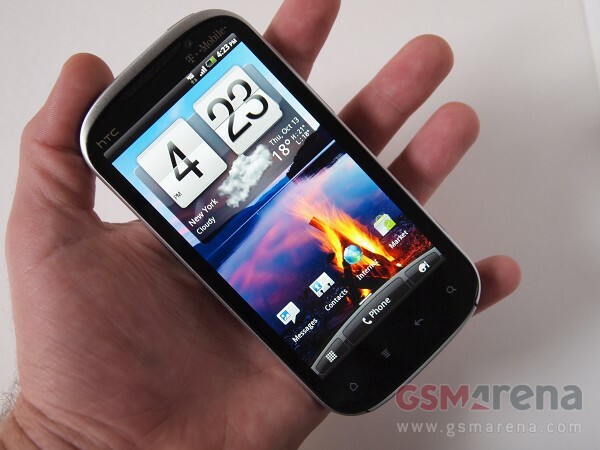 The display is the already familiar from the HTC Sensation 4G, 4.3″ LCD unit with qHD resolution. Two cameras are logically present – an 8MP snapper on the back, and a 2MP front-facing unit for video calls. All this smartphone goodness is packed in a body made of aluminum, Corning Gorilla Glass, and very little soft-feel plastic, which weighs 173 grams. We have a full review of the device in the works so stay tuned for more!